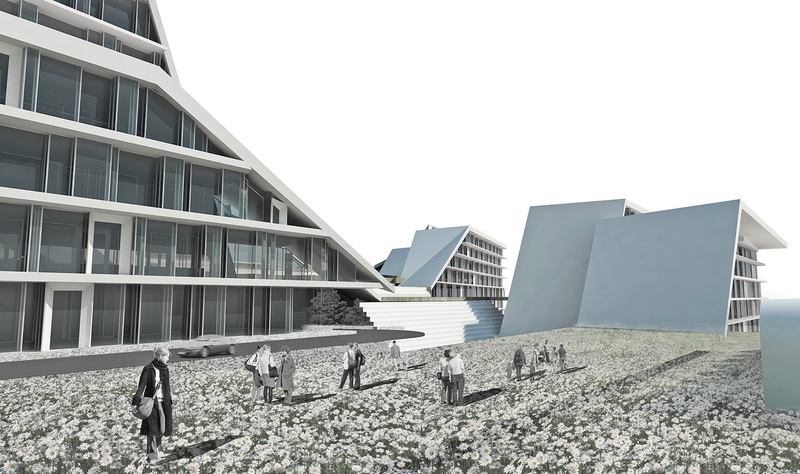 The competition for the Intercontinental Hotel Complex project was one of a kind in its nature in that it required us to completely rethink how a new structure would take the place of the Youth Palace known to many as “Kukuruznik” be cause of looking like a corn on the cob. 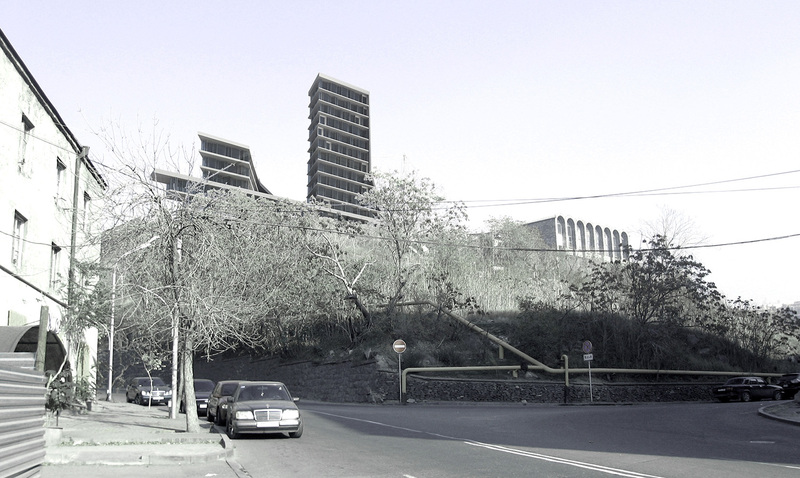 The building was built in 1970 and was a historic symbol of the city of Yerevan. It was completely dismantled in 2006.The building was considered to be one of the best examples of Soviet modern architecture.The project required the design of a hotel as well as an apartment complex. 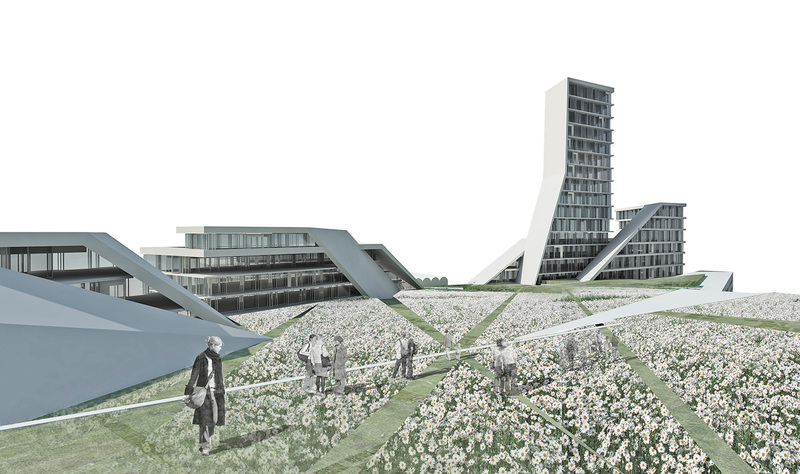 The main architectural concept developed from visiting the site and studying the landscape. 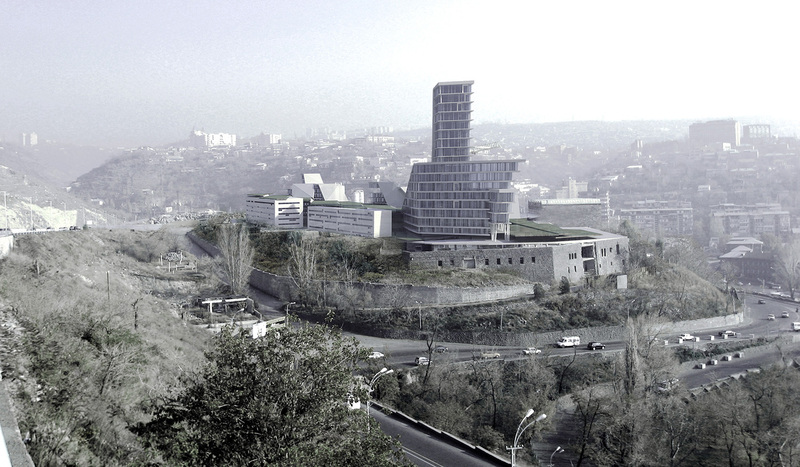 The site is on top of a hill overlooking the city of Yerevan. 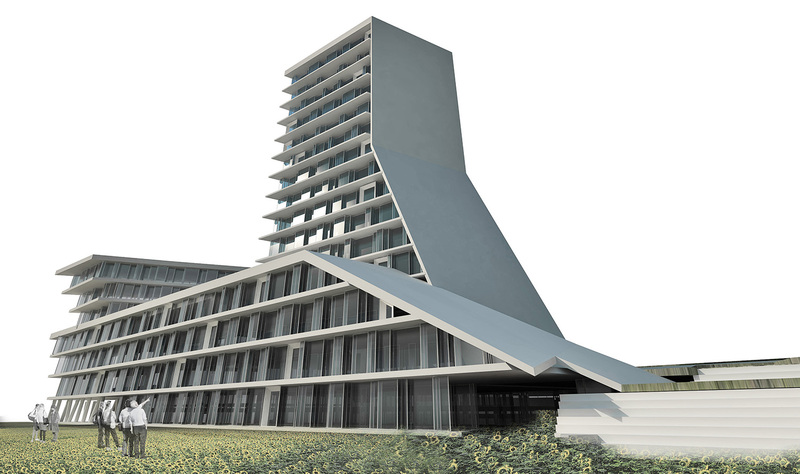 We designed our concept so that it was integrated with the hill as one structure. 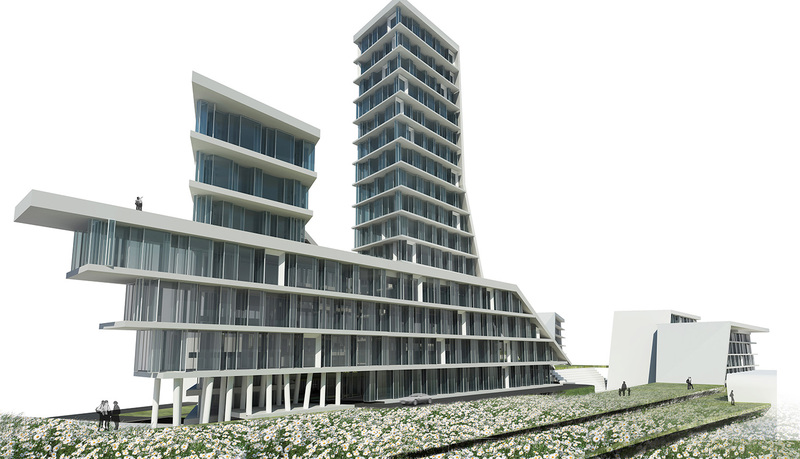 The motion of the building allowed us to create a continuous structure. 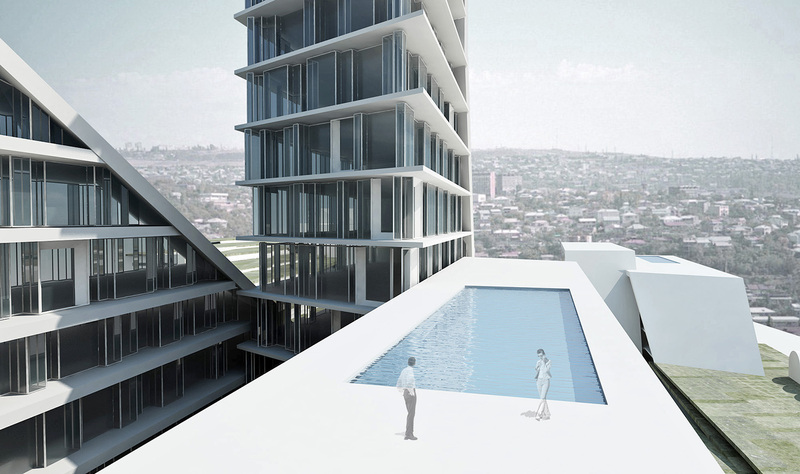 The volume of the building is a result of the continuous motion.